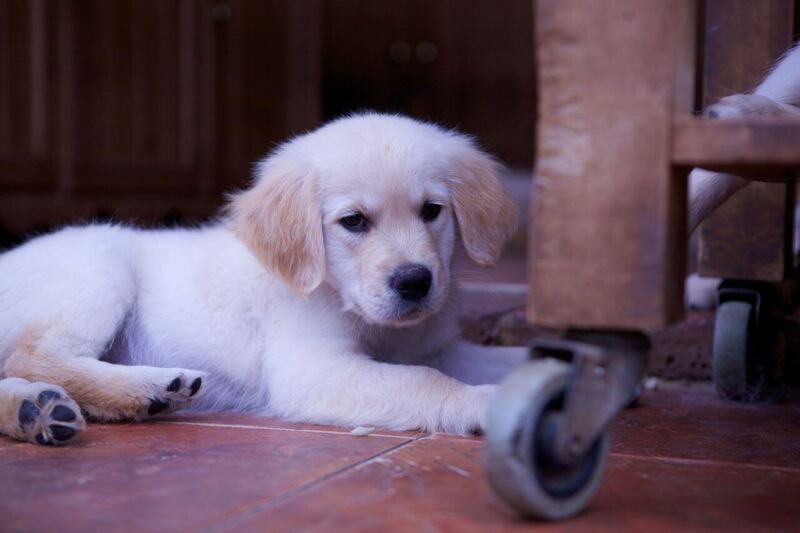 Golden Retrievers are purebred dogs that have exclusive general characteristics from dogs of almost every other breed. They are adopted and bough in almost every country all over the world and make good pets. They are quite simple to care for and can be tamed and trained as per their individual characteristics. Many people decide to own a Golden Retriever without actually researching about Golden Retriever Behavior, their instincts,and temperaments. This article is designed particularly to bring to light what the expected Golden Retriever temperament looks like, and how they can be taken care of accordingly. Golden Retrievers are meant to stay in the company of one another, or other dogs, or other humans. Leaving them alone is not good for their emotional and mental health. Which is why it is always recommended to get home a Golden Retriever only if you have at least one family member at home at all times. Staying in isolation for long periods of time may result in your Golden Retriever Behavior becoming aggressive or sad. Make sure that you be with them physically or get them enrolled in a training institute if you are going to be missing for long. Golden Retrievers are quite soft, kind, and polite by nature.They don’t show signs of aggression and don’t pick fights very easily. They are pretty non-violent creatures even with complete strangers. Which is why employing your Golden Retriever as a guard-dog is nothing short of a bad idea. Golden Retriever Barking Issue is nothing more than a growl upon seeing a stranger. They work best for children and old people with responsibilities like leading the way and carrying out mundane tasks. Especially when training your Golden Retriever, make sure that you do it while maintaining your cool, and that you understand their temperaments well. Remember that a dog is a dog after all. Although Golden Retrievers are intelligent animals, you cannot expect them to display levels of human intellect. Be considerate and patient with them and let them learn at their own pace. Golden Retrievers are peace-loving animals. They don’t respond well to strictness and harshness. As mentioned before, Golden Retrievers respond best to cool and calm treatments as opposed to harsh and strict ones. One needs to be a little flexible with them especially when they are being trained or taught something. Going harsh on your dog may result in them becoming stubborn or aggressive, and may also lead to Golden Retriever barking issues since it is just not in the nature of Golden Retrievers to be dealt with, with harshness. Golden Retrievers are huge fans of eating away and playing to their heart’s content. They will even prefer swimming and playing in water instead of going on long walks. Having said that, it is the duty of the owner to keep a tab on the dietary intake of their dogs. The absence of a monitored diet is bound to result in them becoming overfed, overweight and obese. Constant physical exercise also negates the occurrence of obesity to a large extent. Read More – Which Foods Can Your Dog Eat ? All over the world, Golden Retrievers are widely used as dogs for therapy since their presence brings about a soothing and calming effect in anxious and stressed individuals. Also, they are quite fun and happening to have around with you at home. They prove to be the best of playmates for your kids and continue to be a constant companion. The above-mentioned facts about Golden Retriever temperament are not all when it comes to learning about them. There are plenty of other factors that come into play. The individual personality of your dog, its mood on any given day, and the way its owners generally treat them, all these factors play a major role in determining how your dog behaves on a daily basis. Having said that, one cannot negate the fact that all of the above-mentioned characteristics are true for Golden Retriever and must be considered to a large extent when dealing with a Golden Retriever pup or a full-grown dog.